When the weather outside is frightful, what better way to warm up than with four magnificent tales of love and adventure? 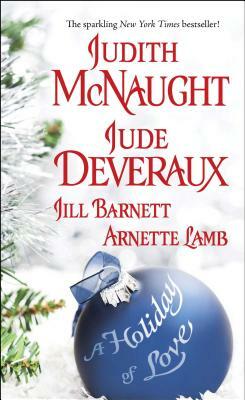 Slip into a bubble bath or curl up in front of a roaring fire—and let New York Times bestselling romance authors Jude Deveraux, Judith McNaught, Arnette Lamb, and Jill Barnett whisk you away! Filled with drama, adventure, and sizzling romance, A Holiday of Love will transport you to a world where love always reigns supreme! Arnette Lamb (1947-1998) was the New York Times bestselling author of Chieftain, Border Lord, and other historical romance novels. She won multiple awards for her writing, including the Romantic Times Best New Historical Author award. Jill Barnett is the New York Times bestselling author of fifteen acclaimed novels and short stories. There are more than five million copies of her books in print in seventeen languages. She lives in the Pacific Northwest. Visit her website at JillBarnett.com.